Saturday, March 14 at 8:30 am on FOX 47 and 6:00 pm on TVW 14. Sunday, March 15 at 1:00 pm on FOX 47. 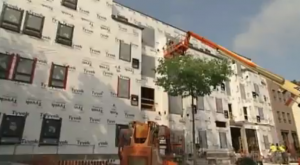 This week on Building Wisconsin, we’ll feature a Mixed Use Redevelopment Project in Madison with HJ Pertzborn Plumbing.